When you are going camping, there are some essential items that you need to carry in order to have the best experience. One of the most important items you need to have is sunscreen. Below are some of the major benefits of having a natural sunscreen. One of the major benefits of wearing a natural sunscreen is that it helps prevent sunburn. In addition, they also help avoid the blistering that can happen as a result of too long exposure from playing in the sun all day. 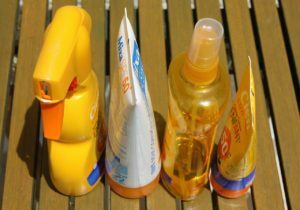 With the sunscreen, your skin protected from the sun’s harmful rays. Patchy and blotchy skin occurs as a result of being out in the sun without the proper protection. If you do not have the sunscreen, you stand a higher risk of suffering from melanin unevenness that arises because of imbalances as a result of sun exposure during the hottest part of the day. By having sunscreen, you can be assured of having protected skin for a longer duration of time. You are supposed to get vitamin D every day. This means that even when you are camping, it is vital to ensure that you get ample sunlight that gives the body vitamin D. The right sunscreen assists you to enjoy and get enough vitamin D from sunlight without concerns of other skin problems. Natural sunscreen is made of non toxic ingredients that do not have any form of side effects to your skin. They do not have chemicals that can irritate your skin and cause hormonal disruption. This means that you have peace of mind as you enjoy your camping adventure because you know that your sunscreen will not cause any problems for you. In addition, they feel good on your skin making you feel comfortable.